In 1956, Edward Cotton started his own Tree Service in the City of Northampton. At that time Dutch Elm Disease was killing most of the mature Elms and pesticide use was rampant. Ed loved to work outside, and tree work was a natural fit for him. He was a graduate of the Stockbridge School of Agriculture, became a Certified Arborist while continuing his profession into his mid eighties. Jeremy Cotton always knew he wanted to follow in his grandfather’s footsteps. At the age of seven, having donned a pair of climbing spikes, Jeremy informed his grandfather he was ready to work with the tree crew. Ed quietly took this opportunity to explain that it was more important to plant trees instead of removing them. Ed then gave a hearty chuckle, informing his grandson that the tree spikes needed to be worn to the inside of the boots, not the outside. These conversations continued, during breakfasts, in the car and observing the Red Hawk migrations. Edward was talking, Jeremy was listening. Jeremy Cotton learned many things from his grandfather in the coming years. Ed explained about how pesticides contaminate the environment by leeching into the ground water, poisoning our fish and eventually the birds. This lesson would later be revisited as Jeremy Cotton himself attended The Stockbridge School and read “Silent Spring” by Rachel Carlson. Edward taught his grandson how it was important to use dark bags when rescuing cats out of trees. “It makes them feel safe” he explained. There were many more lessons; excellent communication with customers, giving back to the community, recycling; all fundamental lessons to eventually own and operate a successful, healthy business. In 2007, prior to his death, Edward helped his grandson purchase his first bucket truck. The words of wisdom were short. “Jer, you know what to do, now go do it.” With Edward Cotton’s passing, Jeremy Cotton is now the only Certified Arborist in the Cotton family. Having a degree in Urban Tree Forestry from the University of Massachusetts Amherst, an arborist certification and the help of a childhood friend, Larry Lashway of Williamsburg, LashCo Tree Service was formed. In 2010, after developing a substantial customer base, and paying off the debt of a newly formed business, Jeremy Cotton took full ownership of LashCo Tree Service. This change allowed Larry to spend more time with his wife and two small children.  Today, LashCo performs all aspects of Shade Tree Care. Planting, pruning, cabling, fertilizing and hazardous removals are the backbone of what LashCo does. This is what Edward Cotton taught his grandson to do. We at LashCo, look forward to hearing from you. Originally published on July 19, 2004 in the Northampton Daily Gazette. My name is Edward Cotton; I’m 82, I came to Northampton in 1936 and I’ve lived here ever since. My father was a Unitarian minister in Marblehead, Mass., and when I was 14, he became the minister of the Florence Unitarian Church. I thought the end of the world had come, to uproot and come to Northampton. But I adapted very quickly, made friends with my neighbor, Atwood, and there was no time when I felt lonely. I acquired the hobby of birds when I was 14 years old, which was one of the best things that ever happened to me. My mother learned that there was going to be a bird walk, and she made Atwood and I get up at 4:30 in the morning. We didn’t want to go. On the walk we saw a yellow-billed cuckoo, and Aaron Bagg, who was leading the walk, said, “Now that’s kind of unusual.” And when we got home and were playing under the apple tree, we saw this scarlet bird with black wings. We’d never seen it before, so we got a bird book: it was a scarlet tanager! So Atwood and I said, “We’ve seen two rare birds in one day; let’s see how many more we can see!” So two 14-year-old boys on bicycles, with not the traffic there is today, we went to Amherst, we went to Mount Tom to watch the hawk migration in the fall, the peregrine falcons nesting on Mount Sugarloaf. One of the saddest things for me is – when I was a boy, I would go out in the middle of May, when the birds are migrating from the rain forest that’s being destroyed in South America up to the spruce forests up in Canada, where they nest, that 3,000-mile journey for these tiny little birds, about 22 different varieties, they were so numerous. I had no binoculars when I started out birding because my father didn’t have much money, but there were so many birds that you could see the birds just with your naked eye. When I got my first pair I thought I was in heaven. That gave a little magnification. Now I have a pair of binoculars I paid $1,000 for, they’re gorgeous, but there are no birds to watch. I never thought the time would arrive when Rachel Carson’s prediction in “Silent Spring” would come true: there is no bird song. I loved the chestnut-sided warbler, it had a nice song – I’m-very-glad-to-MEET-you! – and I haven’t seen one in probably 15 years. The Audubon Society has recognized that the migratory bird population has collapsed. It’s made me realize that when you have something, you don’t miss it till it’s gone. My father and mother taught us how to be happy. It’s very simple. Just live by the golden rule: Do unto others as you’d be done by. To have concern for other people, and to work hard, be accountable, be honest. These are things that lead to happiness. There were three of us: Estelle, me, and Webster. Growing up, my mother would say, “Now we’re not going to pick any of the flowers on the edge of the road. We’re leaving them for other people to enjoy.” My mother was a wonderful woman in teaching us to have thoughts about other people. I was taught not to be discriminatory in any way. I support homosexuals. I don’t believe in bigotry. And I thank my family for that. My mother was a teacher, and we had an English lesson every day at the kitchen table. That’s another thing that has stood me in good stead, to have a good command of the English language. That helps me in my business, selling tree work and explaining things to people. I didn’t really enjoy school, because I couldn’t be out hunting and fishing and doing what I wanted to do. But I went through high school in Northampton, and then I went into the Coast Guard, in Puerto Rico, for two years, learned a little Spanish, enjoyed the Puerto Rican people and the beautiful islands. When I got out of the service, it was the second year that Stockbridge [at the University of Massachusetts] had a program in arboriculture, the care of shade trees. And I had thought I would like to do that, and spent two years there, and I found out I was good at it. We’ve lost three species of trees in my lifetime: the American chestnut, the American elm and now we’re losing the Canadian hemlock. In my opinion, that’s a catastrophic situation. Millions of American elm trees that used to grace our streets are gone now. One year we took 400 diseased elm trees down in Northampton. I [also] went through the period when they developed DDT [dichloro diphenyl trichlorethane], and that was the answer to the insect problem. So they taught me at the shade tree laboratory at the university to mix 6 percent DDT in my sprayer, to coat the elm trees with the poison. I used to take care of the trees at Williston Academy over in Easthampton, and I was spraying the trees over there with 6 percent DDT. I went over to check my job, and I saw all these robins convulsing on the lawn, fluttering, and I said, “My God, what’s happening here?” I went to the Audubon Society, and they said, “When you introduce DDT into the soil, the chlorinated hydrocarbons have a half-life of 100 years.” The DDT is retained by the earthworms in their fatty tissue, the robin eats the earthworm [and] gets a tremendous dose of DDT, [which] kills the adult robin. At that point, I stopped spraying. These little warblers I’m telling you about, these migratory birds – in my opinion, they’re headed for extinction. And when they’re gone, they’re gone. And they’re probably the biggest controller of insects. Because when you have millions of these little birds moving through our area, they’re timing their migration for the emergence of the insects they use for energy. They can clean a tree out of insects without doing any harm to the environment, where my DDT sprayer would kill everything. Nature is very forgiving of what we’re doing, but she’ll only take so much. Fortunately, many more people are becoming aware of the destruction of our environment and attempting to do something about it. The World Watch Institute in Washington, D.C., tracks the condition of the environmental situation in the world and publishes a book every year. People should read that book. The information is out there, but the general public is not made aware of the seriousness of the situation. As one scientist said, what it amounts to is, “Do we love our children? Are we preserving this planet for future generations?” I hate to say it, but George W. Bush is not an environmentalist. He’s trying to water down progress that already has been made. I think that lawn pesticides are one of the worst things ever visited on mankind. It’s a killing field for birds. Women who live in the home alongside lawns where pesticides are used have a much higher incidence of breast cancer; children that live in the home have two to three times the level of cancer. We know that. Halifax, Nova Scotia, has banned the use of lawn pesticides because they are a progressive community. I would like to see Northampton ban pesticides. Birds have a mystifying ability to fly great distances and come back to the same place. My friend Tom Gagnon, a great birder in Florence, thinks that with our cell phones, we may be disrupting the airwaves and whatever’s in the airwaves that allows the birds to reach the places they want to reach. He thinks a lot of these birds are going out to sea and losing their way and drowning. The birds migrate at night. With these cell phone towers, 1,000 feet in the air, on a foggy night the birds hit the guy wires and are killed. So when you’ve got hundreds and thousands of cell phone towers being erected, and we know they’re killing birds – what, just for our convenience, to be able to communicate? In comparison to the extinction of our birds, communication has no importance whatsoever. All my customers I talk to, try to spread the word. You have to pass laws, you can’t ask people to do it, because so many people are just interested in their daily life and their pleasures. Even if they know it’s at the expense of future generations, they’ll still do it. But we don’t have an indefinite time to reverse this situation. It’s a web of life. Everything is dependent on something else. We try to manipulate nature to our own desires, not having the understanding of what the true results are. That’s my main activity now, trying to get this message out to people. For about 30 years, from the late 1950s to the ’80s, I worked for the city of Northampton every winter. When Proposition 2 1/2 came along, they were trying to control costs, and they put a dollar in the tree budget, and that was the end of the care of the shade trees in Northampton, which was a disaster, because they are one of the greatest benefits for the beauty of this city. They are not being taken care of, in my opinion, the way they should be, and too many trees are being removed. Like everything else, the powers that be, if they see the value of trees, things get done. But they have planted a lot of trees – I must give them credit for that. And that’s a big step. We have a shade tree committee that’s started, so there are people in the city who are interested in doing more for the trees. I’ve saved a lot of trees myself, personally. One group of trees I was able to save was that line of pine trees in front of Cooley Dickinson Hospital and Smith School. A teacher in charge of forestry persuaded the trustees to take down the trees. I turned in such a low bid that I had control of the situation, and I called the Audubon Society and said, “These trees should not be removed and I need help to cancel this tree removal project.” People had sent letters, and [eventually] that bid was killed. Those trees are still there. I never could be a minister, like my father or my father’s father. Because I wouldn’t like to preach a sermon, for one thing. And I enjoy physical activity. I’ve got to get out and work every day. I can’t put on a suit and tie, I have to put on work clothes. I’m a workaholic. I love what I do every day. To me what’s important is an awareness of the environment. We must preserve this planet for future generations, preserve this miracle that has been provided for us by nature. We must appreciate the time it took for a 500-year-old tree to grow. Henry David Thoreau was asked one time, “Henry, what’s your religion?” And without hesitation he said, “Nature’s my religion.” [When I heard that] I said, “My God, I didn’t know it, but nature’s my religion.” I’m a Unitarian, but nature is my religion because the whole system of nature is so perfect and so mystifying that I believe in doing everything as close to nature as we possibly can. We are the experts other landscapers call in when the job is too big or dangerous. Our employees receive training in safety, emergency rescue, and CPR. We have maintained a flawless work injury record to date. We're a third generation family business, locally owned and operated serving the Hampshire, Hampden and Franklin counties. Read more about the legacy of Edward Cotton here.